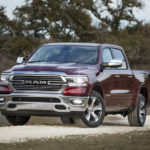 Award season rolls on with more good news for Ram Trucks. 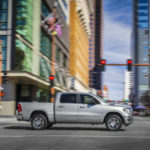 For the third time since 2013, the Ram Brand’s light-duty pickup has received top honors from a revered industry publication. 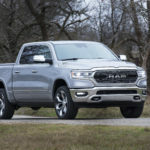 More succinctly, the Motor Trend Truck of the Year® is the All-New 2019 Ram 1500. 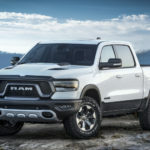 Motor Trend’s “Of the Year” awards recognize vehicles that offer exceptional value, show superiority in their classes and have a significant impact on the automotive scene. 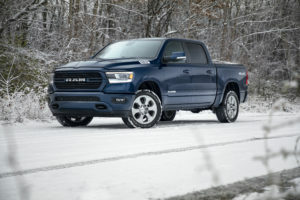 It’s fitting then that the Truck of the Year was not the only Motor Trend award landed by FCA. In addition to the Ram 1500, editors of the automotive publication have recognized the All-New 2018 Jeep® Wrangler, naming it the 2019 SUV of the Year®. Former FCA CEO Sergio Marchionne has been honored posthumously as Motor Trend’s 2019 Person of the Year®. Motor Trend’s “Of The Year” program is open to any all-new or substantially upgraded 2019 model-year vehicles. Instead of being compared against one another, contending vehicles are first put through Motor Trend’s full battery of performance tests to evaluate virtually every aspect of each vehicle. Competitors are then evaluated on three separate courses at a professional automotive test center before finalists are selected. A full report on Motor Trend’s comprehensive testing will be featured on MotorTrend.com and in the January 2019 issue of Motor Trend. 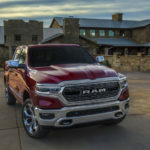 The All-New 2019 Ram 1500 and the 2018 Jeep Wrangler are currently being featured at a BusinessLink dealership near you. Stop in today to test drive one of these award-winning vehicles.